What exactly is Trail Running. If you ask Instagram, it’ll show you epic images of people with next to no gear, standing on top high alpine peaks. If you ask an REI salesman, they’ll tell you it’s like running, but you’ll need 10x more gear to do it right. If you ask your runner friend, they’ll probably trash talk it somehow that it’s not really running. 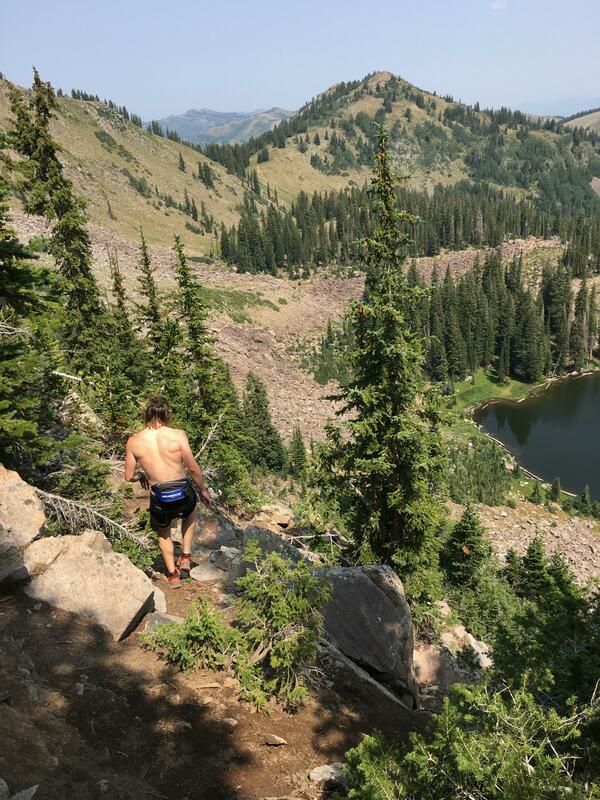 Others say that trail running is just running where it’s acceptable to pee. So what is it then? 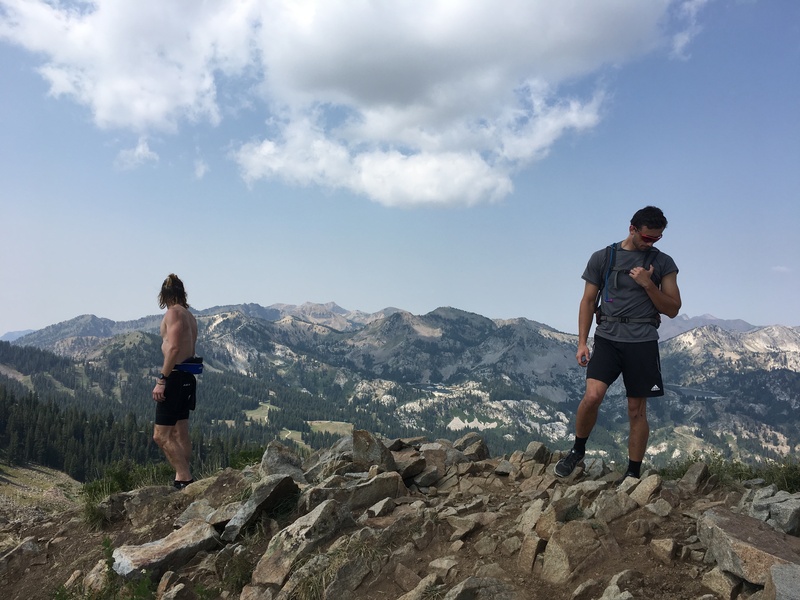 To me, it boils down to the simple fact that trail running is an activity where you run until you can’t run anymore, then you hike, then you run, then you hike some more again, followed by some more running. All the while carrying nothing more than a tiny pack for water. 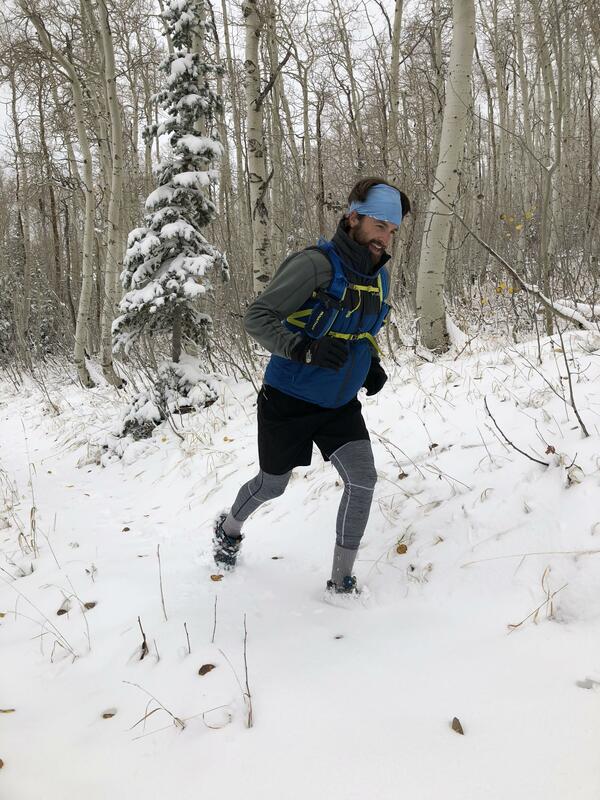 But that’s my impression of it here in the Wasatch Mountains of Utah where we “run” up to peak or ridge of a mountain, and then run back down. I guess if I was a stronger runner, I’d have a different impression of trail running, one that looks down upon the run/hike/walk mentality. Or if it involved less vert. But that’s just my take. Regardless of the definition, or how someone may perceive it, trail running is an absolute blast! To say that I’m an actual trail runner would be a stretch, but it doesn’t prevent me from enjoying it. A fact that I stumbled into by happenstance. After a long spring and summer of mountain biking, I ended up with a nagging knee injury that prevented me from riding the bike. Fortunately, it did not effect my running stride at all! So to occupy my time, and expend my energy, I picked up trail running. And like I mentioned before, with the Wasatch as my backyard, it was a no brainer to get in them on two feet. Looking back, it couldn’t have been a more epic transition. No longer do 5, 8, or even 14 mile days in the mountains take hours or even the entire day to knock off. Now that I’d head out from the trailheads wearing only trail runners and maybe a pack with ~1L of water in it, I can seamlessly cruise up the trail. 1K, 2K vert up to the ridgelines can be knocked off within a half an hour or an hour. Not without plenty of suffering and maxing out the heart rate of course, but so much faster than I could have ever expected. And coming down, well that is significantly less effort. Letting gravity do most of the work for me across those miles, making it feel like you only have to try on the uphill portions. And it’s crazy to look down on my watch and see it say +10 miles, with a time around 2 hours. Hiking those same days used to take, what seemed like forever. I will say, it wasn’t always that way. Those first few trips into the mountains, especially before I got used to running at this altitude, were very painful. The air gets drastically thinner when you start at 7,000 feet and head up towards 9K and 10K. I won’t lie, there was plenty of hiking and walking at the start. 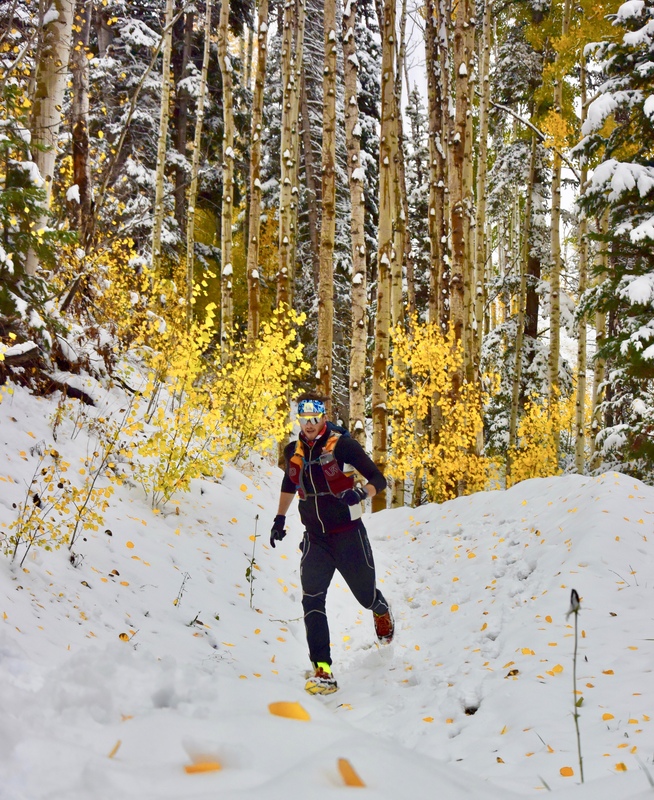 But I still enjoyed every single step on those runs, just as much as I do on the trails that I can maintain a constant running pace upward. That is something I’ve learn to appreciate more and more on each run. It’s never mattered how long the run was, or how much vert I was able to gain, I just enjoyed running on a trail that kept me engaged. Even the quickest of runs keep me focused on the trail ahead at all times. The rocks, the routes, the steps, and descents all keep my eyes ahead and my mind working. Unlike a long road run, I tend to space out and loose interest in the run, which never happens to me on trail run. 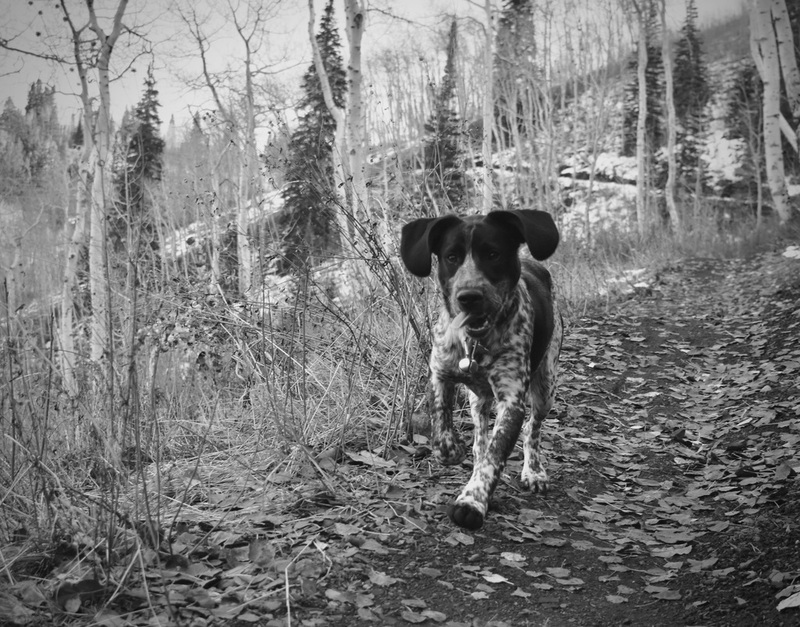 To make trail running even more appealing to me, I was able to share the stoke with my puppy Gregor. Since it’s a significantly slower pace, and drastically less miles, it was a perfect activity for the two of us. He’d cruise up the uphills, waiting for me every 20 yards or so to catch up. Then we’d reach the top or turnaround, and head down together. Even though I could pick up my pace on the downhills, Gregor still would fly down the trails and end up waiting for me to catch up. The company, and motivation, that he provided me on each run were beyond welcoming. Plus, judging by how stoked he’d get when I’d tell’m we’re going for a run, I think he enjoys it just as much as I do. So however you define trail running, or whatever your reason for doing it is, you can’t go wrong. The act of moving through the mountains, faster than a hiking pace, is an incredible feeling. Albeit, a much more painful and exhausting pursuit, but nevertheless a welcoming new connection to the mountains.